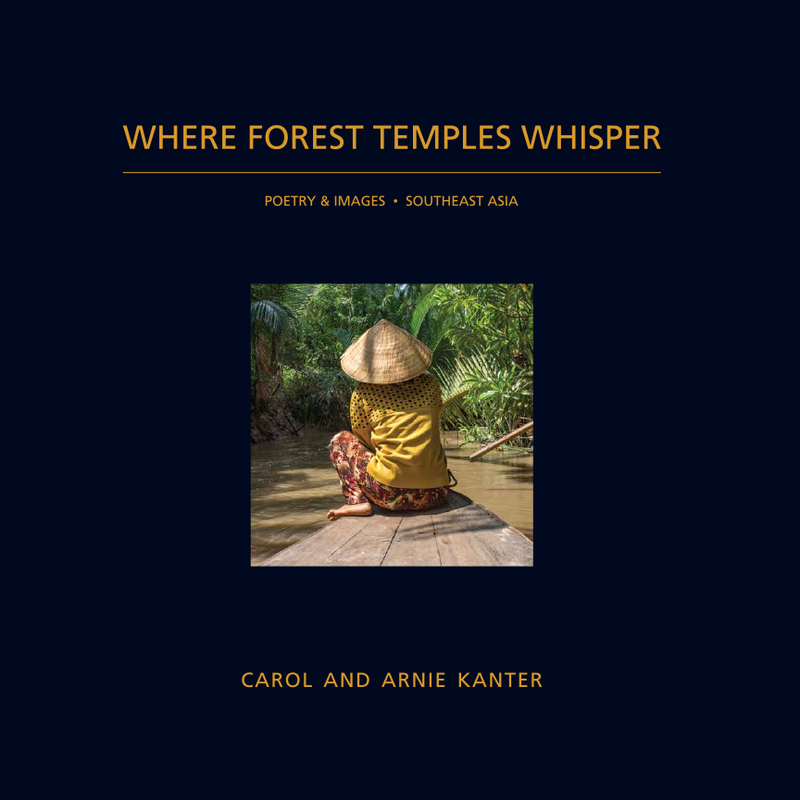 Where Forest Temples Whisper combines photos and poems from our four trips to Southeast Asia—to Myanmar, to Vietnam, to Borneo and Java, and to Thailand, Laos and Cambodia—taken over a period of five years. This book is an attempt to capture some of the wonder inspired by vastly different experiences—from orangutans in the wild to Buddhist pagodas to people who welcomed us into their lands. To preview the book, click here. 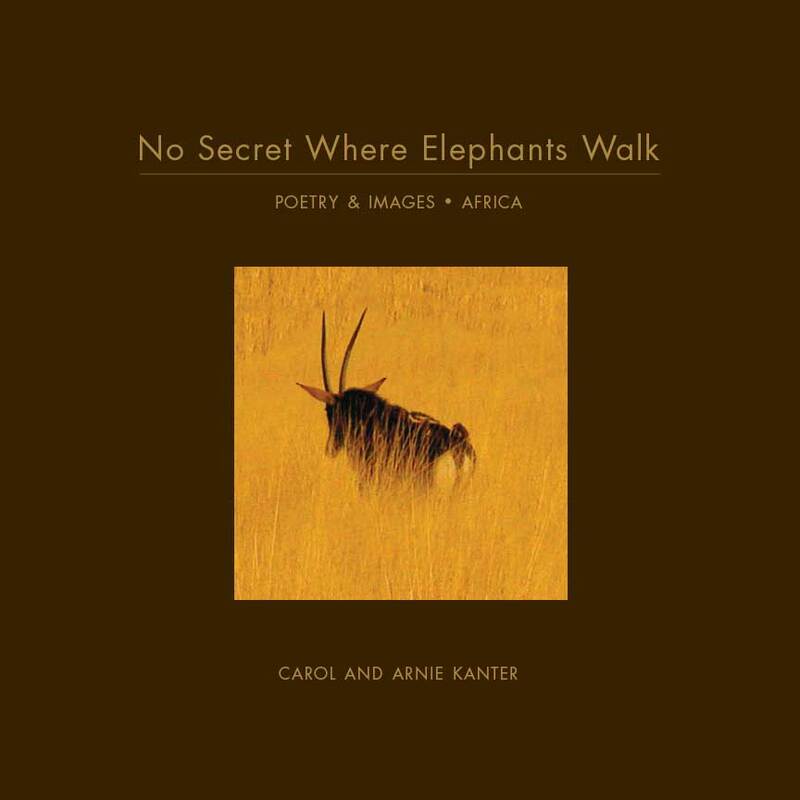 No Secret Where Elephants Walk weaves poetry with images from Carol and Arnie’s three trips to Africa, trips that led them to discover more about their world and themselves. With only a few exceptions, Carol’s poetry and Arnie’s photographs were produced independently. In creating No Secret, they found that their separate approaches to what they saw and experienced—sometimes similar, sometimes quite different—complemented each other.To preview the book, click here. 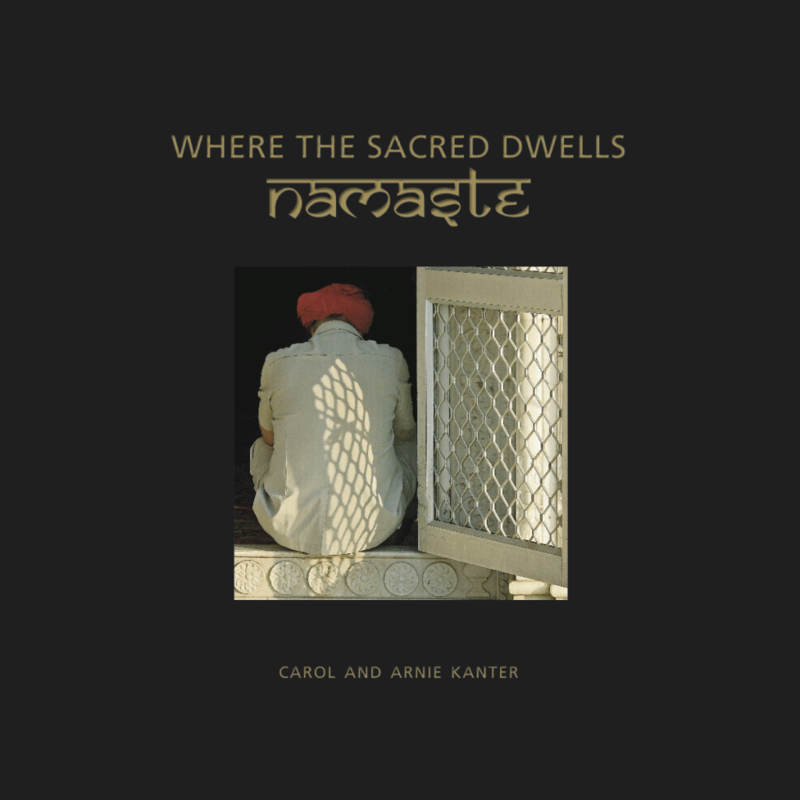 Where the Sacred Dwells, Namaste presents poems and photos from Carol and Arnie Kanter’s three trips to India and two trips to Nepal and Bhutan. This area of the world is very different than the one they explored in their first collaboration on Africa, but no less compelling.To preview the book, click here.